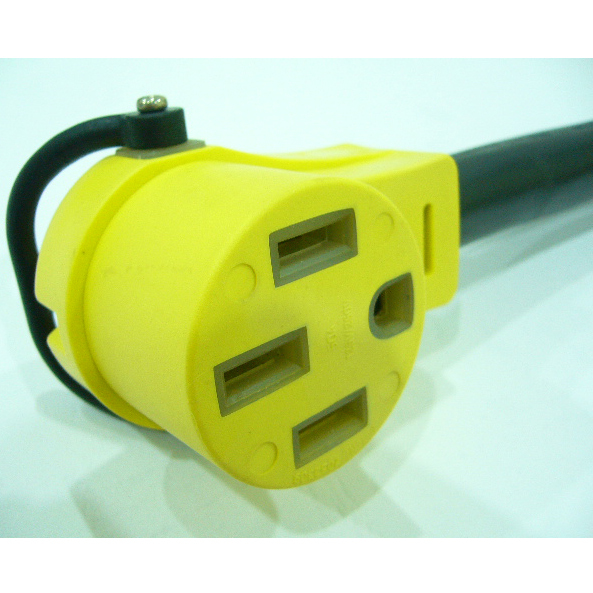 TT-30P To NEMA 14-50R RV Adapter Cord-Rongkuang Electric Co., Ltd.
RV Camp Power Pigtail Adapter Cord, 30A to 50A, 125V to 125/250V, NEMA TT-30P to NEMA 14-50R. 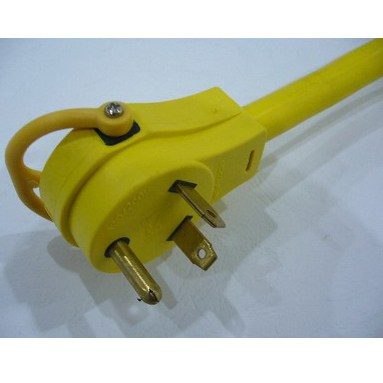 RV Camp Power Pigtail Adapter Cord, 30A to 50A, 125V to 125/250V, NEMA TT-30P to NEMA 14-50R . 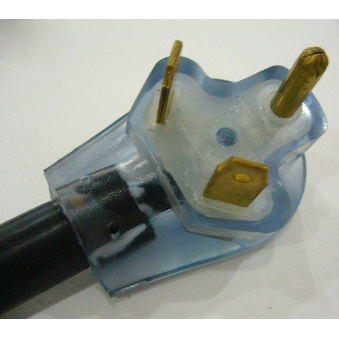 TT-30P Male to 14-50R Female RV Adapter with handles. 10/3 Wire Gauge, STW jacket type. With Pull Handles on both ends. 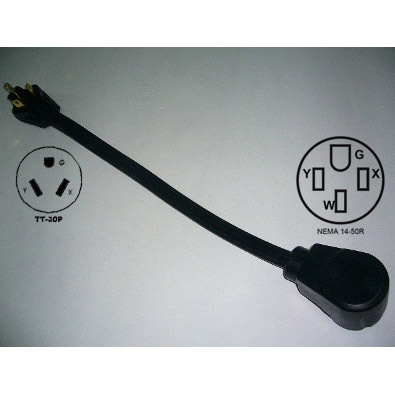 Description/Special Features RV Camp Power Pigtail Adapter Cord, 30A to 50A, 125V to 125/250V, NEMA TT-30P to NEMA 14-50R.